Images shown on the website are only for view and actual delivered flowers design, shape, image shall vary as flowers are sourced from local city vendor, designed manually. Our logistics partners will attempt delivery of the items once. Incase the delivery is not executed during the attempt, due to wrong address, recipient not available/premises locked, the customer shall still be charged for the order. Being perishable in nature, neither Expressionskart.com nor our enabling partner will be able to accept any returns of such items. Delivery charges may vary as per city location. Respective Brand owners will be responsible for the quality of product. You can lodge complaints on them through us, if the quality is not found up to the mark. If ordered flowers / cake / mithai / other hand delivered gift items are not available in the respective city or town, we shall deliver available best quality flowers / cake / mithai / other similar gift items of equal value. We always ensure that full or higher value to our customers in all such cases. Delivery schedule varies between same day delivery to delivery within three business days depending on the destination city or town. However, in all metropolitan cities we deliver on the same day, within one business days in all major cities & town within two - three business days in all other places. In case of any complaint against the quality of product we shall redeliver the product subject to satisfaction of recipient. But all such claim should be raised within 48 Hours of delivery. Refund can also be made depending on nature of complaint and any decision to refund is sole prerogative of the owner of the website. In case a customer wants to cancel an order he needs to do it at least 24 Hours before the date of delivery or the date of shipment. However in all such cases 7% of the ordered amount will be deducted towards credit card processing expenses. All claims are subject to the jurisdiction of local Court only in Jaipur, Rajasthan, India. In case of flowers, cakes & sweets (all being perishable items) if the receiver or any representative is not available at the time of delivery, we shall take the order as delivered. However we always try to take an appointment over phone before delivery. 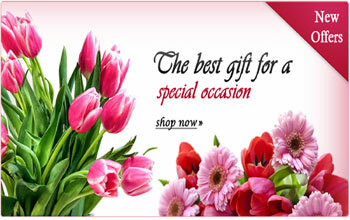 Gift items like Chocolates, Dry Fruits, Leather Bags, Watches etc. are normally dispatched thru courier and we cannot guarantee exact time of delivery. Prices of items which are subject to MRP restrictions are being sold on the website after adding up costs of our services, delivery and online transactions cost. The distribution could not be shown separately. Due to technical restrictions and are taken to be understood. 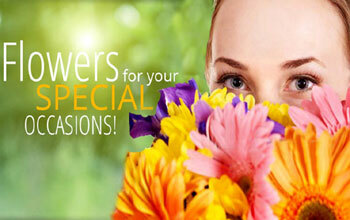 We do guarantee the delivery on date BUT we don't guarantee the delivery on any particular time. We do try to deliver well within your mentioned time but we do not guarantee that. And normally we shall process the order for delivery as soon as possible ignoring your specific instruction to deliver at or before a particular time. Orders received after 5 Pm IST shall normally be processed as next day orders BUT we shall try our best to deliver same day. A phone call after placement of such urgent orders will be appreciated. Floracraft.in reserves the right to refuse delivery of any order without assigning any reason whatsoever to the customer. However, in all such cases Floracracft.in will refund the amount paid by customer in full. All claims are subject to the jurisdiction of local Court only in India. 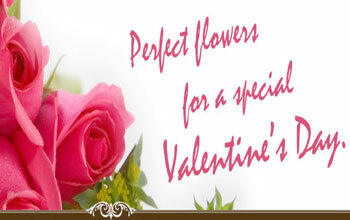 Due to Valentine's Day festival, flowers rates increases in market therefore website prices have will be increased for these dates -12th, 13th, 14th & 15th February.